Last year ACTAsia really grew as an organisation. We ran some high-profile events and major public campaigns, saw progress in all our education programmes, received awards and are proud to have reached a greater public audience than ever before. Our achievements were supported by new staff, new partnerships, another office and professional training centres in China, a new website and revised brand. Here are just a few highlights from the many successes you helped us to achieve last year. 2018 brought the total number of children reached by CFL to 78,000, through 140 schools, and 2,200 CFL educators. Over the year, we reached 17 primary schools, 21 kindergartens, two remote rural schools, and one summer camp for 80 children – a total of 13,000 children. Pioneer Fuhe Primary School in Heping County was visited by educational authorities, teachers and principals from other schools, eager to learn the benefits of CFL. Tanguoan Memorial School was an inspiration for visiting teachers who took elements of CFL away with them to apply to the Moral Education curriculum. Children take part in a CFL workshop led by parents as part of our Parent Power education programme, and role-play empathy to help them grow up into compassionate adults. In May we launched our Pioneer School Project in partnership with ten primary schools where CFL is already well-established. Official visits gave authority delegates, principals and teachers from neighbouring schools the chance to witness CFL for themselves. The strength of our Parent Power project has really helped to embed CFL in the community, after parents saw the positive changes in their own children. Four schools in Hunshan introduced CFL through Parent Power, reaching 3,000 children and more than 600 parents came to hear Pei Su speak about CFL at Jinghui Experimental School in Shanghai. Others CFL achievements include the first CFL International Education Conference in China hosted with new partner Suzhou Unifversity for Science and Technology, and work with the Applied Ethics course to promote altruism, animal welfare and empathy. A school gardening project came to fruition when a crop of fruit and vegetable grown by children were harvested and eaten, helping to put children in touch with nature. We held another summer camp for around 80 left-behind children living in rural areas last year. A gardening project at a school came to fruition when the fruit and vegatables planted and tended by the children were harvested and eaten! CFL educators at a summer camp for left-behind children in rural China spent time with small groups of children who live without their parents. 2018 was a year of breakthroughs for consumer education, with several events, public education campaigns and publication of research. In May we held two major fur-Free fashion events in Shanghai, engaged more than 450 participants and reached 17.52 million members of the public through advertising and the media. The event was held jointly with the London College of Fashion (LCF), who committed to developing a fur-free fashion design course for colleges globally. We couldn’t have asked for better celebrity support for the event – designers Maryma, Michael Wong, Grace Chen, David Huang, Jill Hsu, Jerry Huang, Li Zhiqui and media including iQiyi, CCTV and Jerri Ng, former editor of InStyle China among many others. In the autumn we published Toxic fur, an illustrated report investigating the potential health and environmental impact of producing and wearing fur. Findings revealed potentially dangerous levels of toxic residues in fur garments and products bought fronm retailers in China. We received media coverage across the world, in print, on TV and online. Two advertising education campaigns last year took the fur-free message to millions of people. In March, 8,100 posters were displayed in 12,000 locations in 20 buildings of ten cities in China, educating consumers about real animal fur. In December, a six-week run of light-box posters in cinemas reached around 2.43 million people in 15 cities and 28 locations. Veterinarians are our biggest professional audience, and last year we continued to work with partners Vets for Compassion to promote our Companion Animal Welfare Veterinary Training Programme. 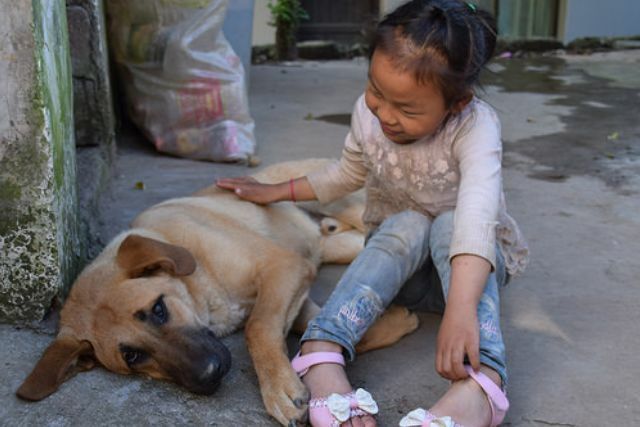 2018 was a landmark-year for our established Train the Trainer (TTT) and Continued Professional Development (CPD) programmes; it was the year that we took a training workshop to Yulin, Guangxi Province, notorious home of the Summer Solstice festival where dog meat is eaten in the belief it will promote good health. This was a true breakthrough – working with the Yulin Animal Disease Control Centre to focus on dog population management and rabies control. Our professional development and training programmes are now nine years old, and an established platform for vets to learn from each other and work towards better animal welfare standards. Last year two new certified trainers joined our team of more than 1,300 veterinarians taught through 27 training workshops. These trainees go on to learn about caring for stray animals, pain management, animal behaviour, neutering techniques, anaesthesia, surgical techniques and disinfection – all with consideration of welfare at its heart. In May, Dr Yin Zhijyuan, deputy head of ACTAsia’s VFC China Team was awarded the world Veterinary Association Welfare Award. And at the end of the year, our Companion Animal Welfare Training Programme was endorsed by the World Small Animal Veterinary Association (WSAVA)! What a sought-after achievement, highlighting international recognition of the need for improvements to animal welfare in Asia. Looking back at 2018 it’s clear that together, we achieved so much. Thank you for making it possible.